Morning worship, held at 10:30, varies according to the particular Sunday of the month. The first Sunday of the month is an all-age service. On the second Sunday our Young Families Group meet for breakfast at 09:00, followed by songs, stories, crafts and worship. Our regular service then follows at 10:30. On other Sundays, the Junior Church go straight to their own groups and re-join the church family to share what they have been doing and to join in the final song. Our uniformed groups join us for Parade services, usually for Harvest, Remembrance & Mothering Sunday. For younger children, there is a designated area in the church where we hope they and their carers feel comfortable and part of the worshipping family. All our morning worship is followed by refreshments in our cafe – Zeph’s. 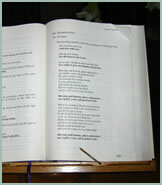 Evening worship, held at 18:30, is normally more traditional in format. On the fourth Sunday of each month we hold an ecumenical 'Wellspring' service which draws on Christian worship and music from Iona, Taize and worldwide. Communion, normally using the forms found in the Methodist Worship Book, is an integral part of worship once a month each in the morning and in the evening. 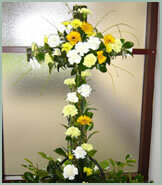 Additionally, on the first Sunday of each month a reflective Communion Service is held at 08:30. 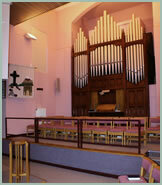 About three times a year a joint evening service is held in one of the Churches Together in Oadby churches and once a quarter there is also an evening Circuit service.